Posted on January 26, 2019 by Rachel A. Are you moving to Miami or have you decided to spend your vacation there? You would be surprised if we told you that Miami is one of the most museum-friendly cities in America. If you are studying art or you’re just an artistic soul, South Florida is a place where you should move! Museums of different profiles, both for you and your children, can bring you unforgettable moments. You heard of some of the most famous museums like The Bass, Pèrez Art Museum of Miami or maybe Miami Children’s Museum. Furthermore, whether you love art, history, sports, music or toys, Miami is a city that will offer you the best museums from these spheres. We will show you some of the best museums in this city. We hope that this article will interest you to visit some of them or perhaps all of them. Why not? Let’s start! Now let us look at the Pérez Art Museum in Miami. It is modern and present-day art museum that collects and exhibits international art of 20th and 21st century. Furthermore, this is one of the most popular art museums in the Miami art scene. The facility is 200,00 square foot and that is amazing. Now it bears the name after Jorge Pérez. In recognition of his huge leadership gifts. You can read it on their website. There is a free 45-minute tour alongside museum guide every day. You can see and enjoy geometric figures, waterfront sculptures and more. Museum possesses so many sculptures that attract the attention of bloggers around the world. Furthermore, this museum celebrates diversity. The date about it shows the diversity of artists from US Latino, African diaspora, and the Caribbean. Therefore this one is also a must visit one time or regularly. Trust Orange Movers Miami on that! Explore everything that museums have to offer. After $12 million renovations by Japanese architect Arata Isozaki, The Bass Museum of Art became a very attractive cultural institution in Miami. 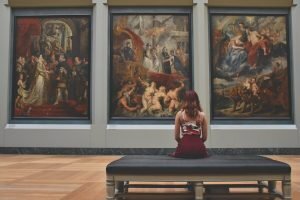 This famous museum has a very rich collection, which includes works of art from four continents with a span of 500 years. The Bass Museum’s collection  includes European painting and sculpture from the 15th century to present, as well as  textiles, tapestries and ecclesiastical vestments and artifacts from 7th to 20th-century. Visitors can see photos, prints, and drawings, of North American, Latin American, Asian and Caribbean art from 20th and 21st-century. Something very special that this museum in Miami offers is modern collections with a reflection on the pre- and postwar design history of Miami Beach. This museum was expanded in 2012. And now it contains a media center, terrace, and museum shop. After expansion, The Bass got an amazing café where you can spend cold and rainy days. Spending your afternoon here is one of the best Miami Beach moving tips we can give you. Museums are places where you can learn a thing or two. One of the best museums is definitely Historical Museum of Souther Floride. It is one of the top five museums in entire Miami. Via exhibitions, education HistoryMiami Museum offers a bunch of fun for history lovers. Therefore, the most important thing here is to know that this museum seeks to help everyone understand the past. Also, this museum is in the top 24 percent of the best museums in the whole United States. Furthermore, HistoryMiami is one of only two history museums in Miami county with professional standards. And on the plus side, it is part of the Smithsonian affiliation program since 2011. It provides amazing experiences like historic boat trips and theme walking tours that are certain to impress you and make you want more. Therefore, put this on your Miami checklist of must-see plWhethereather a one time visit, or a regular one, this is a must. This is probably the most beautiful museum in Miami. If you are in the area, do not miss the chance to visit this magnificent building. Vizcaya is a national landmark and American museum inspired by European Palaces. This was previously the estate and villa of James Deering of the Deering McCormick-International Harvester fortune, built between 1914 and 1916. Tourists are totally amazed by this museum. Furthermore, statistics showed that more than 300,000 people visit Vizcaya each year. There are 34 decorated rooms with over 2,500 art objects, 10 acres of formal gardens in European style. Moreover, an amazing flower collection of 2,000 specimens, 25 acres of endangered primary growth forests. Therefore you can enjoy nature. Explore subtropical forest, magnificent fountains, or simply enjoying the view of Biscayne Bay. Also, parking is free! And if you an active or retired military ID you can go for free! Museums are places for the entire family. 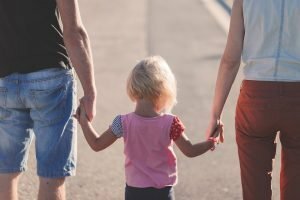 You seek to spend some quality time with your kids? Also, you want your kids to have some fun, but learn a thing or two as well. Then the museum is just the place for you. Children’s museum in Miami is one of the largest in the entire United States. Furthermore, this interactive environment is designed for children of all ages, teens too. Also, for all other visitors to visit and enjoy, play and learn new stuff. And, the big plus is that this museum is a leader in providing programs suited for kids with special needs. Furthermore, they provide a program for autistic kids too. And that alone attracts families across the state to visit. This museum offers a huge range of exhibitions. One such is a real recording studio. This is making this museum into one of the best local spots in Miami. If you are planning to come to Miami, do not just stay on beautiful beaches. Furthermore, take time for fun but also to learn something new. 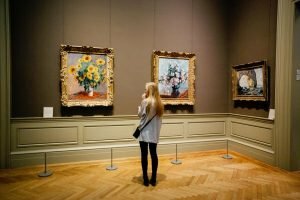 We hope you enjoyed this article and that you will go to at least one of the top museums in Miami to visit – you will not regret it.